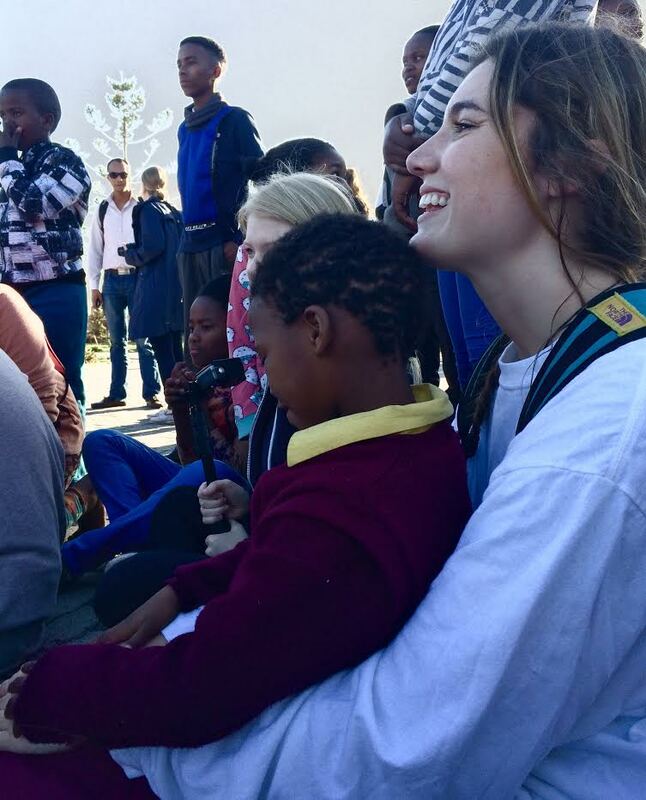 One of my favorite sayings is “If it makes you nervous, you’re doing it right.” Kelsey LeMon, a junior at the University of Mississippi, did not know a single person attending LEAD Cape Town and was unsure if she made the right decision, but she quickly realized that this experience is exactly what she needed to step outside of her comfort zone. Check out her great blog below! “What doesn’t kill you makes you stronger”. These seven words are so much easier said than done. Back in November when I signed up for this trip I definitely didn’t think about what I was signing up for. The excitement of visiting Cape Town and studying abroad completely took over and it wasn’t until days before I left did I actually think about my upcoming experiences. My mental bucket list and wanderlust kept me dreaming about all of the beautiful places and people I would eventually come to know. It wasn’t until the day before I left did I actually get nervous. So unbelievably nervous. Hours before my mom drove me to Dulles International Airport I was literally sick to my stomach. As an outgoing person, I was beyond confused. I love meeting new people, I love traveling, and I love creating new experiences, or so I thought. I was originally proud of myself for embarking on this journey alone. It takes courage and bravery to travel to another continent without knowing another soul, but part of me believed I would be okay. Seeing other girls who knew each other at the airport immediately blew in a cloud of doubt around my heart. What was I thinking? What the heck did I get myself into? I knew I needed to be positive. It’s so easy to absorb into negativity. It is contagious and spreads like wildfire, and I had a 16-hour plane ride to either feel bad for myself, or do everything I could to not get burned. Two girls from Ole Miss actually had the seats next to me. Once airborne, we ordered wine and made a toast to our trip. I’m sure the chardonnay and melatonin helped, but I was relaxed and less apprehensive about the next five weeks than ever before. Landing in Cape Town and then living this reality for the past week makes all of my pre-journey jitters seem silly. This trip is exactly what I needed. Lead Cape Town is unlike anything I have ever done in my entire life. At least when I moved down South from New Jersey to attend Ole Miss I knew where I was going. I had seen the campus and met people at orientation. Nothing could prepare me for the unknowns of this trip, but I’ve come to realize that this experience is what I needed all along. Life is all about challenging yourself. Humans cannot grow without facing fears or surviving difficult situations. It’s called our Comfort Zone for a reason, and how are we supposed to know what truly scares us if the “zone” is never tested? I believe it is so important to test one’s limits and rise to a challenging journey, like studying abroad. Not only will you become a stronger person because of the bravery, but you will experience a completely different culture and ways of life that are different from anything you can imagine. I know now that its okay to be nervous. Its okay to scared, but studying abroad is a phenomenal way to test one’s self in an indescribable way. This is exactly what I needed all along. I know now that its okay to be scared of the unknown, its natural, but studying abroad will allow you to grow, challenge yourself, and ultimately see the world through a better, more cultured lens. My anxiety about the trip seems silly now, and I can honestly say that signing up for Lead Cape Town 2015 is the best decision I have ever made, even though I couldn’t see it at first. What a great perspective. So many people are held back by fear. It is important to note that almost everyone is nervous before a big adventure, but that is a positive sign. It means you are open and ready for all the craziness.